From the group's upcoming acoustic album, Nudes. 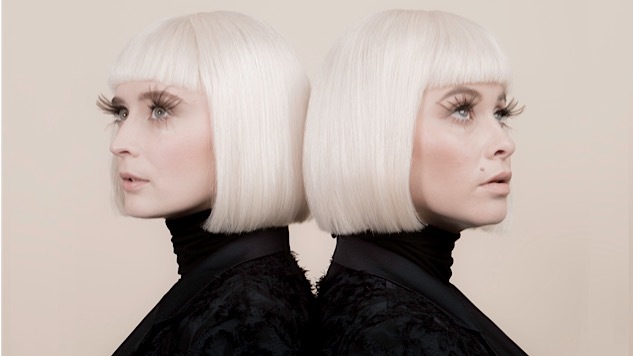 Lucius have an acoustic album, NUDES, in the works, and on Friday they released one of its tracks, a lovely cover of Tame Impala’s “Eventually.” The breakup song, a standout on Tame Impala’s 2015 album Currents, becomes a lilting ballad in the hands of Jess Wolfe and Holly Laessig, who substitute close harmonies and gentle strums for the gleaming synths and pounding drums of the original. NUDES includes three new songs, four from Lucius’ back catalog, and three covers. It also features guest appearances from Wilco’s Nels Cline (on “Million Dollar Secret”) and Pink Floyd mastermind Roger Waters (on “Goodnight Irene”). Last year, we shared the group’s live cover of Pink Floyd’s “The Great Gig in the Sky” while they were on tour with Waters. NUDES is set for a March 2 release on Mom + Pop Music. Recorded in collaboration with Electric Lady Studios, the release coincides with an acoustic tour kicking off with three nights at Los Angeles’s Largo Theater. You can find those dates and more info here, and you can pre-order the vinyl and album here. You can also check out Lucius’ live Paste Studio session right here.